Putting adequate locks in place is a strong layer of security designed to make it hard for burglars to break into your home or business. However, if you make the mistake of been careless with your keys, even the strongest locks can be compromised. About one in every fifteen unlawful home burglary incidents happens with a key, which implies that mere changing your locks can make a huge difference in preventing a home invasion. Here are common reasons to change your lock. When you newly move into a new apartment, It is easy to forget that the new house has an unknown number of keys flying around that can give strange people access into your home. The previous occupants, their friends, and relatives or even contractors may likely have keys to your new home. In fact, you may never know who has keys to your new home, so it’s simply best to have them changed immediately so you can be in control of who has access to your home. Same applies to landlords and renters. 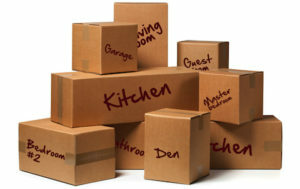 Has your roommate recently moved out? Or did you just break up with someone you once lived with who had a key to your place? Or have you given a key to someone you shouldn’t have? Your living situation may change for some reasons and changing your locks will be crucial to keep out unwanted guests. While you may still be friends that former roommate of yours, you probably don’t want them to have keys to your home still. So, it’s a very good idea to change your locks to ensure it doesn’t fall into the wrong hand. In any of these cases, it is pertinent to stay ahead of any ill-intention person who may have access to your home. 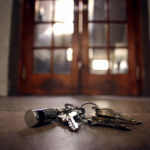 In the case of misplaced keys, you may not realize on time that they are gone. But, when you find out that a particular set of keys is missing, you make attempts to find them instinctively, or replace your locks and start all over. 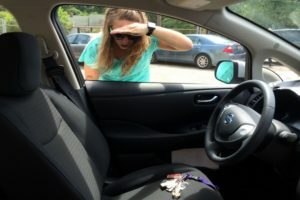 Most people would prefer to search for their keys, but if you don’t know the exact place you might have lost them, it is more likely that a stranger has them than it is that you will be able ever to find them again. Since there is a possibility your keys are stolen or in the wrong hands, it is a very good idea to replace your locks before the thief comes for your doors. Just like every other thing, locks also wear out with time. In some instances, this may make your door harder to use, or your lock could even fail completely in extreme cases making your lock ineffective, or impossible to unlock your door, and eventually leaving your home vulnerable. It is best to replace your lock with a new one at the first signs of wear and tear. This will save you from worse problems that could arise later if you allow your lock to wear out to the point of no return completely. Whatever the reason is, it pays to replace your locks with high-quality locks when necessary to help protect your home and office. The best way to keep your most precious valuables secure is to lock it up in a safe, right? Well, partly. That is, so long as you understand some must-know facts about keeping valuable locked in safes. Given the right amount of time, effort and resources, every safe can be broken into. Though, they are still a good safety device when you understand what kind of safes are best and how to use them. If you’ve watched any old movies, you’ve probably seen a burglar listening carefully with his ear against the side of a steel box, or maybe even used a stethoscope. What he is listening to is how the tumblers fall when the combination lock is turned, so he can break the code by turning the right combination and open up the safe to get inside. While this scene makes for some great drama on the big screen. Crooks are usually more concerned about grabbing and getting out of there with the loot than they are interested in investing time into the art of cracking a combination. Most likely, a burglar will just make off with the entire safe filled with whatever you had placed inside. Bolting it to the ground provides an extra time-consuming step in their endeavor, but may not stop them entirely as they are often successful in prying open the safe door. You Often get what you pay for. Generally speaking, a less expensive safe will provide less levels of security than a more costly one because the material it is made out of will be weaker or stronger effecting the price. Keep quiet. One of the most obvious measures of security in keeping your safe unscathed is to not talk about it! within hearing of strangers or those you may not trust. When you mention that you have a safe or post information about purchasing one on social media, this gives the impression that you must have something valuable that is worth stealing that you have tucked away inside the safe. Find the best spot in your home or office for the safe to be as secure as possible. Never keep your safe out in the open. Even banks keep their tucked away behind locked doors or bars. Select a spot that is inaccessible as possible. Conceal the existence of your safe. Put the safe in a wall or in the floor. Surround your safe with a wall or floor of protection! you cover the weaker sides of the safe leaving only the door exposed. Be creative in where you decide to store your safe! choosing the most obscure and undesirable area in your home or office. Call a trusted Parker CO locksmith today to take care of all of your locks, safe, and security needs!